So, I’ve been reading up on Sonic lately in Wikipedia. It started when I was verifying some details for Gelg and Chris online regarding the Death Egg in Sonic 2 through Sonic & Knuckles, but I’ve been finding interesting little bits along the way, and I’ve just been going at it for days now, when I’ve got a free moment, waiting for a page to load, whatever. So anyway, I read up a bit on Sonic Rush for the Nintendo DS, a game I’ve been wanting to get for awhile now. As I’ve understood it, the basic plot involves some sort of rift between alternate dimensions leading to Eggman teaming up with another version of himself, dubbed Eggman Nega. To stop the diabolical duo, Sonic races through his stages to get the Chaos Emeralds and stop Eggman, while the hero of the alternate dimension races to collect the Sol Emeralds from the other dimension to do the same. After reading over this and thinking about it, it occured to me in a way only hindsight can. Now, going by the basic theme and what you see there, who best seems to fit into the mystery slot(barring the fact I obviously used one for the silhouette)? In a way, it’s really too bad that Shadow was made years prior to Rush. He seems to fit everything much better than Blaze the Cat, in my opinion, insofar as look AND theme goes. To say nothing of the fact I’ve heard that SR is a better game than most, if not all, of Shadow’s appearances. And 2-D, to boot. I’m a Shadow fan, I admit, but I’m more a fan of his character than his backstory, and I don’t think it would have had to change much to fit into the context of Rush; in fact, it seems Blaze acts a bit like him in some regards. On top of that, it’d probably have freed us of the whole angst thing that seems to get people all riled up, leaving us with a more no-nonsense version of Sonic. …not to mention, we might not have gotten the infamous “Grand Theft Hedgehog” bit. Yeah, I admit, “Live and Learn” and the battle against the FinalHazard probably wouldn’t have been as cool with Blaze instead of Shadow, but on the other hand, it seems part of that was to build to Shadow’s “death,” which didn’t really last. 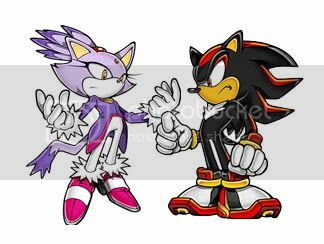 So I guess the question is, would things have been better as they are, or if Blaze and Shadow were essentially swapped? I guess I’m sort of torn. 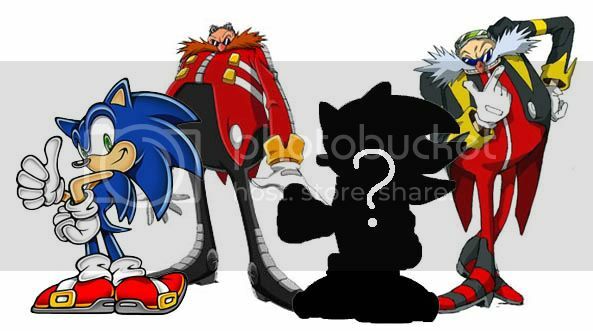 What do you guys(those who are Sonic fans, at least) think? On the other hand, I’d heard somewhere that Shadow the Hedgehog was made to tie off the loose ends and mysteries of his past, and as long as all that is done with there(and SEGA sticks with it), I guess I’m ok with things as they are now.